Brazilian Society of Cardiology is an affiliated member of the European Society of Cardiology. Individual members of an Affiliated National Societies are entitled to the same Membership advantages as members of the ESC National Societies under the condition that they can provide written confirmation of membership. 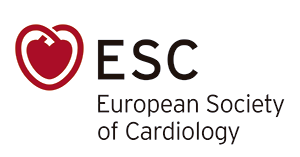 Members are invited to discover the ESC Fellowship programme, make use of the ESC Guidelines and discover the ESC Journals and Educational Products and Activities. Find out details about the Congresses and Meetings and subscribe to the My ESC News in order to receive regular newsletters on the ESC activities. Read about the ESC affiliation programme in more details.